MIPJUNIOR: UK-based kids’ entertainment studio Cake has been tapped by the creators of Angry Birds to make the first longform animated series based on the property. Cake has been enlisted by Finnish video game developer Rovio Entertainment to produce a series based on the franchise aimed at 6-12s. The show is currently in development with an expected launch in 2020 and marks a first foray by Rovio into longform series content. It extends Cake’s existing relationship with Rovio, with the London-based firm holding international distribution rights to its existing library of TV content. That library comprises 10 series of non-dialogue shorts including the original 2D series Angry Birds Toons and Angry Birds Stella, as well as the spin-off series Angry Birds Blues and Piggy Tales, starring characters from the blockbuster animated film The Angry Birds Movie, which grossed more than US$352M at the global box office. 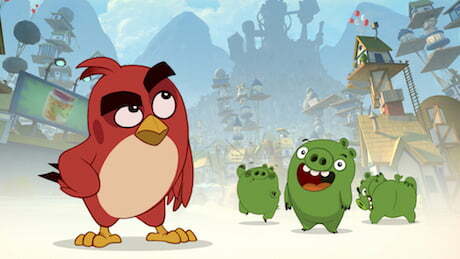 Cake’s digital arm, Popcorn Digital manages the Angry Birds YouTube channel and has been working with Rovio to develop exclusive original content for the channel. Angry Birds first appeared as a video game in 2009, with multi-coloured bird battling to protect their eggs from enemy pigs. It has since spawned a host of other games, two feature films and, since 2012, five short-form animated series.